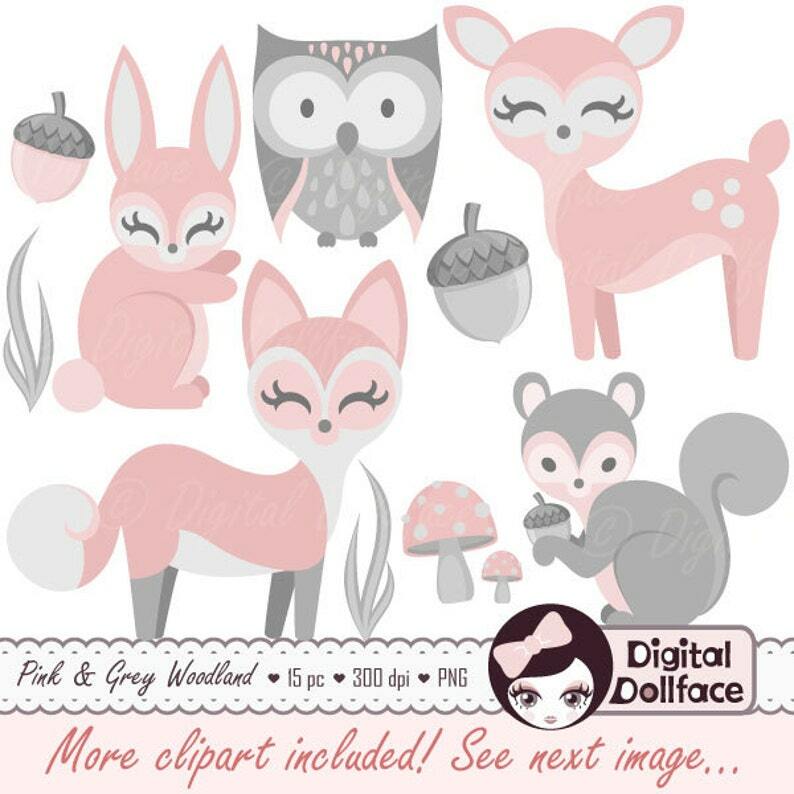 - deer 1: 5.75" x 6"
- deer 2 (w/ antlers): 6" x 7.5"
- owl 1 & 2: 5" x 6"
- bunny 1 & 2: 3" x 6"
- squirrel 1 & 2: 6" x 5.75"
- acorn 1 & 2: 2.5" x 3.25"
- tree: 6.5" x 8.5"
- mushroom: 2.5" x 3.25"
- grass patch: 1" x 4"
* This is a digital, downloadable product. 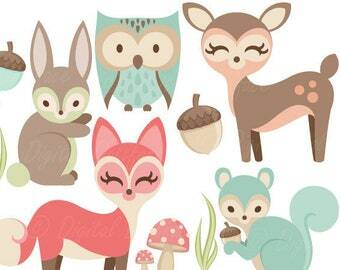 Once Etsy has confirmed your payment, you will receive a link which will allow you to download. This link will be sent to the email address you have registered with Etsy. 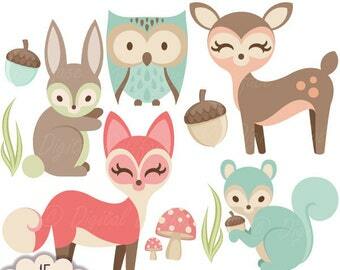 Woodland Nursery Clipart, Baby Animals Clip Art, Forest Friends Baby Shower, Fox, Owl, Rabbit & more! Worked perfectly for the baby invite I made. Loved it! Perfect for the shower I hosted!! thank you love it ! The program I am using will not open my files / I am getting an error message. Can you help me resolve this? Be sure to un-zip the files prior to attempting to open them with your program. There are a couple of different ways to do this. The simplest way would be to double click on the zip file to open it, select all the files inside, and drag them onto your desktop or into a new folder. If you are trying to open the files on an ipad, or iphone, you will need an app like GoodReader, Transmit, or Dropbox to unzip them. Can I request changes to colors, patterns, etc.? What type of paper do you recommend for printing? While printers as well as paper types can sometimes affect the colors when printed, you may want to try different media types (depending on the project). It's a good idea to try to use paper that is made by the same brand as your printer. I have an Epson inkjet, and while I've found other papers that work well, I went through a lot of types that looked terrible. However, all the Epson paper that I've used looks amazing. So I recommend trying to find the paper of your choice in the same brand as your printer.